Anyone working with low-income children, families and communities is all-too-familiar with the typical solutions for local problems proposed by federal agencies, national foundations and global corporations: Topdown, “if-you-build-it-they-will-come” projects. But those working in and with local communities know the limitations of that approach. “You can’t just come in and dictate with charts and everything, ‘We know how to make your life better,’” says Sili Savusa, a community organizer and family center coordinator at Southwest Youth and Family Services in White Center, a community outside of Seattle. But that doesn’t mean big institutions aren’t important components to community change. The challenge can be getting those institutions to talk not just to each other but also to the people they serve. That communication is, at its core, the job of Frank Farrow, A.M. ’71, and the organization he heads, the almost 30-year-old Center for the Study of Social Policy, based in Washington, D.C. The Center for the Study of Social Policy may not sound like the kind of organization that would put on-the-ground community work at its heart—after all, the words “study” and “policy” are in its title. Its goal, however, is to make sure that policies and efforts to help in-need families and children are grounded in rigorous science and real-world research. CSSP’s theory of change puts families and children in the center of a multifaceted model that includes building protective factors for families, reducing risk factors for children, strengthening local communities and connecting all of this to systems change and policy— and infusing it with a fierce commitment to equity across lines of race, ethnicity and culture. At SSA, Farrow found a group of faculty members, with former Dean Harold Richman at the helm, who encouraged community work but demanded that students understand the policy implications and theory as well. After Farrow graduated he spent several years in social policy and regional planning and evaluation in the Chicago and Hartford areas before returning to Chicago to pursue a Ph.D. and run the University’s Woodlawn Social Service Center, a multi-purpose facility run in coordination with The Woodlawn Organization. The Ph.D., however, never happened. “I became much too involved in trying to develop new services in Woodlawn,” Farrow says. In 1980 Richman suggested Farrow take a few months to go to Washington, D.C., to work with policy activist Tom Joe and another SSA alum, Judith Meltzer, A.M. ‘71, who at the time were helping the Carter White House develop a welfare reform agenda for the new administration. “A couple of months turned into a year,” Farrow says, “and became the early work of the Center for the Study of Social Policy, which was originally created as a policy arm of the University, with Harold Richman serving as a co-founder.” CSSP became an independent nonprofit in 1982. 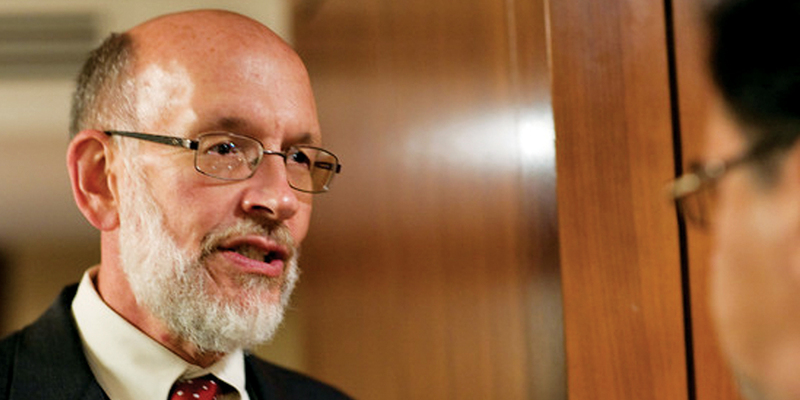 Except for four years as the director of the Social Services Administration in the Maryland Department of Human Resources in the mid-‘80s, Farrow has served in some capacity at CSSP ever since, and he became the director in 2001. The SSA roots and Harold Richman’s vision for the organization still gird CSSP today, Farrow notes. 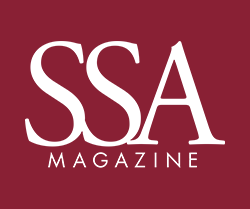 “SSA at its best does several things: It keeps a human heart at the center of its work and tries to prevent policy from disconnecting from the realities of people’s lives. When I worked in Woodlawn, at the same time I was having intense policy seminars with Harold Richman. Those might seem like two different worlds, but they shouldn’t be,” he says. CSSP keeps the SSA connection alive in many ways, including having a number of alumni as former and current staff at the center. Farrow has been an enthusiastic participant in the annual Washington Week career program for current SSA students, and this year he and his colleagues put together the first annual Harold Richman Public Policy Symposium, the first in a series of forums intended as a way to honor the former dean. “Harold had the gift of holding very high expectations for the young people he worked with, and simultaneously provided practical advice, helped us make important life choices, and always urged us to act with a fierce sense of integrity. I was just one of many other young people—literally thousands, I think—whom he inspired,” Farrow says. Today, the Center for the Study of Social Policy is involved on the ground around the country. CSSP works with more than half a dozen city and state child welfare systems in a variety of ways, including serving as the court-appointed monitor and technical advisor for class action reform in the District of Columbia, New Jersey and Georgia. Using new science about brain development, early trauma, resiliency and youth development, CSSP is helping states incorporate protective factors into early care, education and child welfare programs. Savusa’s work with Casey as a resident leader contributed to her eventual election to the area’s school board, and during the initiative White Center was able to boast 3,000 residents placed in new jobs and a 5 percent increase in the number of children reading by third grade. She notes that CSSP’s efforts have helped sustain the community’s work, too. “CSSP helped us find a lot more money for our community—not just Casey, but from Starbucks, Gates— by building partnerships with other funding sources. They’ve been good brokers and good allies,” she says. F arrow is quick to point out that in all its work, CSSP has a lot of partners. “We never work alone. We are always in partnership and believe that is the only way change happens,” he says. Meltzer adds that Farrow himself is a crucial part of CSSP’s success. “Frank’s real genius is that he is a big picture thinker. He is able to conceptualize in very imaginative and important ways how to put things together to produce change, and he is able to develop and sustain coalitions of people in order to bring them together around an idea,” she says. The work that’s particularly exciting to Farrow today includes a commitment to promoting equity on many fronts. “We have made ‘becoming an anti-racist organization’ part of our purpose because in this country race trumps even class as affecting what opportunities people have and can pursue. We felt we couldn’t tackle the community work that we do without making this commitment as an organization and looking deeply at our own practices,” he says.